Sydney Ball is among the most significant senior Australian artists working today whose influence on a generation of younger abstract painters is widely acknowledged. His work has displayed the sustained influence of developments in American post-war painting, from the early 1960s to the present. Ball’s early studies and influences in Adelaide were challenged by his exposure to American Abstract Expressionist painting in New York, where he lived from 1963-65 and 1969-71. He studied lithography with Harry Sternberg (American, 1904-2001) and painting with Abstract expressionist Theodoros Stamos (1922-97) at the Art Students League, New York. 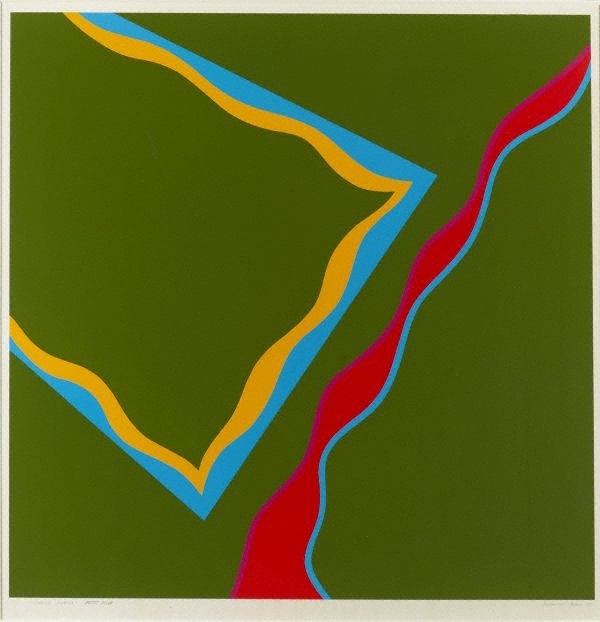 His American experiences had a profound influence on his work; he was a significant inclusion in the landmark National Gallery of Victoria exhibition of Australian abstraction 'The Field' in 1968, and had a powerful influence on a generation of younger painters who shared his interest in Greenberg-ian abstraction. Ball studied printmaking in Adelaide and America, and it has been a recurring feature of his work, influencing and being influenced in turn by his painting. Signed and dated l.r., pencil "SYDNEY BALL '67".